Are you ready to slay some demons? 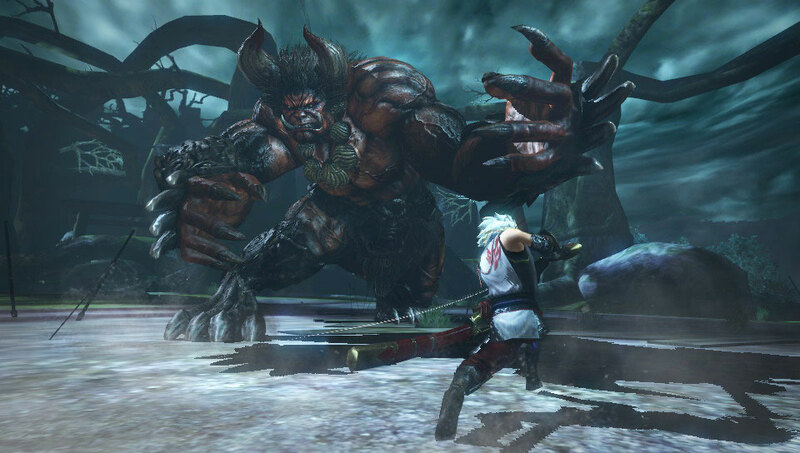 Toukiden: The Age of Demons is hoping you are. 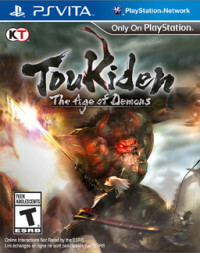 The word Toukiden, basically, translates to “The Legend of the Demon Slayers”. Comparisons to games like Monster Hunter and Dynasty Warriors can be drawn easily. It’s sort of like a hybrid of the two. You will battle scores of enemies and level up in the process. Originally released in Japan for the PSP, it has sold almost a half million units overseas. 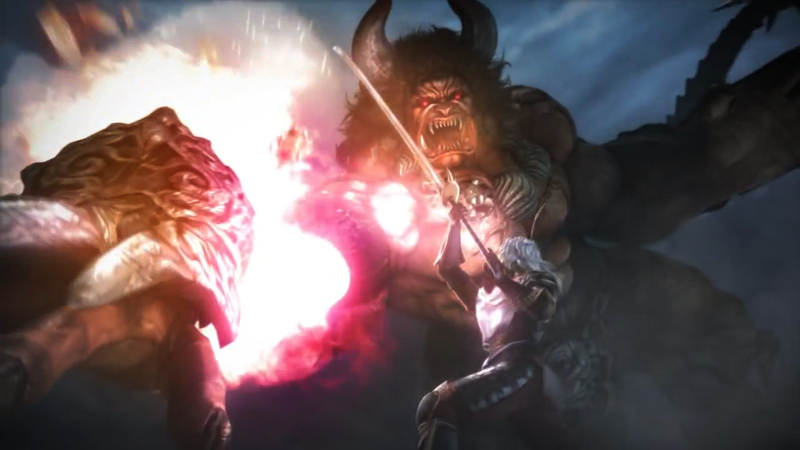 Now on the Vita, you can slay demons (oni) solo or in a group of up to four online. Trying to draw from Japanese history, Toukiden offers a fun but familiar adventure which is good for on-the-go gamers, but will not convert or win new fans in the process. As the stock-hero “Slayer” (which you can name at your will) you are charged with the protection of Nakatsu Kuni, a place long protected by mononofu (“slayers of demons”). Their task is simple: protect the land and purge of it advancing demonic forces. It has been this way for a thousand years. Some time before the main story began, there was a rift in time and space which distorted heaven and the underworld which allowed demonic forces to break into the human world. In an event called the “Awakening” a demon lord came through the rift and forced the world into revolutionary circumstances, bringing about calamity and catastrophe. Past mononofu faced this enemy and its army, only to barely edge it out. In time, the slayers were charged with protecting the peace and fighting off all remaining demons who rise from the abyss. The plotline is simple and also has been done countless times in the past, but storytelling is not what will bring people to Toukiden. Where this game shines is its stylish hard action. The beasts are interesting visually and they are fun to fight. You advance by slaying demons, collecting souls (mitama), and generally leveling up your character to do what you do best: slay more demons. Depending on your interests, you may or may not care at all. Because it is repetitive and also a bit generic, Toukiden is not a must-have for the Vita. If you are interested in an epic plot with fresh gameplay, steer clear; if you are interested in slaying demons, big bad monsters, and other forces of evil on a portable platform then there might be something here for you. As it was originally a PSP game, it will not blow you away on any technical levels. It has a decent design but it will surely not impress passers-by? That said, the action is fluid and it also plays quite well. It’s fast and fun, leveling up is relatively straight forward, and so are the optional quests you can choose to take on if you wish. The main game can be completed in around 33 hours which, to say the least, is a hefty amount of gameplay. But if you‘re not totally engaged by what you’re doing, namely slaying demon after demon, you might find that number less staggering and more burdensome. Simply put, if you are looking for an action romp to take with you wherever you go, potentially play with your friends or strangers, or just slay demons by yourself, Toukiden offers something worth your time. There are not tons of games on the Vita which have this style of gameplay, so it would be a good game if that sounds like fun to you. On the other hand, if you are a little sick of games such as Monster Hunter or Dynasty Warriors, it might be better to skip it all together. This is not a fresh game and it does not have a plot that will keep you intrigued for the full 33 hours it takes to beat, but it can be fun and the combat is at least engaging enough to satisfy people who are already fans of this genre. To be clear, this game is only worth your time and money if it is already a genre you enjoy. You will pick up tidbits about Japanese history and culture which are exciting and might send you off on a real-life research quest so that you can learn more, but once the lay of the land is set you’ve pretty much gotten it all. You are a slayer, there are demons, and you are here to slay some demons. Got it? Good. Ultimately, Toukiden: The Age of Demons is indeed recommendable to fans of this type of game. But anyone else who is on the fence or maybe looking for some positive words to sway them in one direction or another might want to wait it out. While it had commercial success in Japan, its audience in America will surely be more limited and thus you can expect a price drop in the near future. Launching at the full retail price of $39.99 is a perfectly suitable value to those who will complete the full storyline, but to anyone else it’s a steep price for a game they have already experienced countless times. If slaying demons is your interest, then by all means Toukiden: The Age of Demons gets the job done. Retail version played on PlayStation Vita.